However, creating an app is not a guarantee of success. How many times have you downloaded an app to immediately turn around and delete it in utter disappointment? That's what happens to thousands of mobile apps when a web design agency fails to meet the users expectations. What is the secret to designing an outstanding mobile app? Visual appeal and exceptional user experience are the ultimate goals that any web design agency must achieve. Your biggest challenge is to express your creativity within the boundaries of some technical guidelines that are at the core of a successful mobile app development. 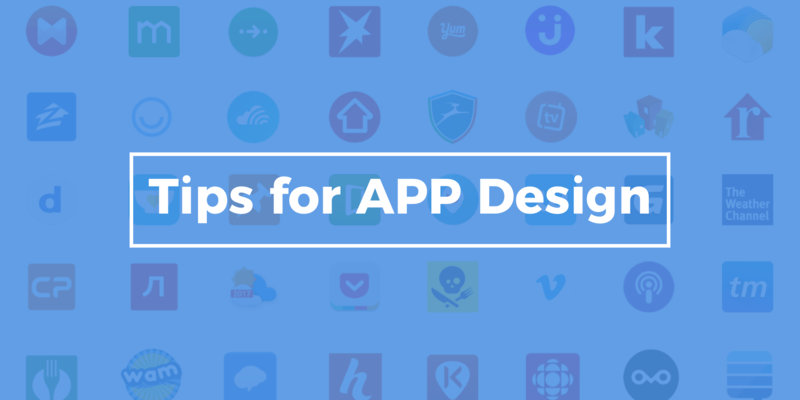 Here are 15 technical and visual tips that you must consider if you want your app to rock the market. Apple App’s Store and Google’s Play Store have set strict guidelines for apps featured in their stores. You can develop your design, be creative and implement functionalities but the core requirements must be there. App stores will inspect your app before featuring it, and if you did something against the rules, your app will never make it to the store. To keep it simple many app developers go for a minimalistic design. A creative minimalism if often better digested by the majority of people instead of a complicated design that clutter the device' screen. However, whatever solution you go for, make sure that the app is highly intuitive. Do not force the users to read instructions or waste time to figure out how to navigate the app. Make your design and navigation so simple that users feel at home from the moment they first open the app. Here is where most web design agencies fail. Many try to be super creative and to impress the client but forget about the final users. They are the ones who will actually use the app and judge it. If they do not find what they expect, your app will be out of business in no time. Before you start to design the app, do your homework. Get to know the end users, their needs, their goals and the problems they might have to overcome to achieve those. Understand what they want and give it to them. If you put in extra effort to have this kind of insight, your app will surely succeed. This point is strictly related to the previous one. Nothing can give you more clues than having direct feedback from the end user. If at an early stage of your project you can manage to have real users test a prototype of your app you will have some gold nuggets in your hand. Their opinions will tell you in no time if you are going in the right direction or if some adjustments are needed. You will be surprised at how much time and money you will save, not to mention that you will give your app a much better chance of success. What good is your app for if the users can’t read its content? Wacky fonts are very good at irritating people. They may look nice but are difficult to read. If users have difficulty understanding the content, they will abandon your app. Use fonts that are known to be pleasant to the eyes and make them big enough to be readable. Contrast is another major factor that improves readability and makes your app pleasant to the eyes. Make sure that your content stands out and is visible to the user. You may achieve this goal using a background with high-contrasting colors. An excellent example of this is white and grey. The more experience you have the more color options you can create. Nothing is more disorienting for a user than not understanding what’s going on with an app. If the user interacts with the app and nothing appears to happen then they will assume that the app is slow or not working at all. Give users peace of mind by creating discreet animations between screens whenever they click a button or interact with the app. Animated screen transitions will tell them that everything is ok, the app is doing its job, and they will not feel lost. In the Internet world, there a few things that have become standard. One of these things is icons. There is a set of icons that is recognized worldwide to perform specific tasks. We are not saying that you must always use these standard icons, even though it is often recommended. You may decide to redesign them but, if you want to walk down this path, make sure the function of the icon is super clear to the end user. #11 Are Your Controls Big Enough? Accessibility is a critical factor to create a comfortable user experience. App users do not interact with the interface using a mouse cursor. They use their fingers among which the thumb is the hero. The thumb, or any other finger, is pretty big compared to a cursor so if your controls are not big enough and adequately spaced, users will often hit the wrong one. If you have ever had the frustration of repeatedly opening the wrong page, you have a clear idea of why you must pay attention to this aspect. Connected to accessibility is the placement of the back button. That is an issue mainly for iOS application but in any case, always make sure the back button is visible. The back button makes the use of your app a lot easier. The user has an option to go back to previous content with just a click. Hide the back button and the user will be easily frustrated. This one is almost a no-brainer. The majority of people today are used to high-resolution images. Anything less than that and the overall opinion of your app will be dangerously compromised. Besides using high-resolution images, make sure that they are not distorted or wrongly formatted when displayed on different devices. We already introduced the principle of iteration when we discussed testing an app prototype before developing it. However, you can use iterative design even after the launch of your app. You can do that by adding in-app user behavior analytics to your project to collect information on how users interact with your app. The information you will obtain will give you invaluable insights on what adjustments or improvements you can bring to your design to better meet your audience’s needs. Security issues need your constant attention. You must ensure open communication with your back-end team who is in a better position to prevent data breaches. If you want your app to serve users to the best, security issues need constant monitoring. Mobile app design is not for the faint-hearted. It is an exciting task, but it requires a lot of knowledge and expertise if you want to launch a successful mobile app. QPSOFTWARE is a web design agency with 10+ years of experience in developing mobile apps. We have created mobile app solutions for several industries, and we have helped our customers to grow their online business thanks to an appealing user interface and a superb user experience. Our strength is the capability to analyze your business and the makeup of your audience providing you the perfect tool to achieve your goal. We invite you to explore what QPSOFTWARE can do to grow your business online. Contact us today and tell us about your project.